The most unpleasant neighbors for a human being are definitely cockroaches. I bet many of you have already spent time on fruitless attempts to get rid of these parasites and you can’t believe that there’s an actual effective means exists. Why is Advion gel so good? It just works. I’ve already have received lots of positive feedbacks about this roach bait from both professionals and owners. The Avion gel is used widely for professional roach extermination by pest control agencies worldwide. Second, the Advion gel is really profitable to use. You can control and reduce up to 100 cockroaches with only several drops due to the Indoxacarb delayed effect. You can use the Advion both indoors and outdoors. For indoors, the gel is recommended for any residential including hotels, restaurants, hospitals, offices and so on. But be careful when you use Advion outdoors, it can just go dry quickly, and no effect would be produced. Also, besides roaches, Advion can be effective for other pests too. You can use it for ants or any other minor bugs. So, what makes Advion cockroaches gel so special? If you have already checked any of the Advion cockroach gel bait reviews, you probably know that it has a secret ingredient which is called Indoxacarb. 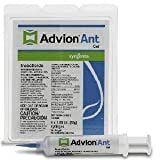 Indoxacarb is the key ingredient in the Aadvion gel, and honestly, it’s a real breakthrough in the cockroach killing methods. Indoxacarb is a unique pesticide, which was developed by the DuPont company. 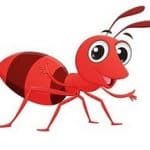 The DuPont company specializes in ants, cockroaches, and other pests professional elimination. Besides being the cockroach poisoner, Indoxacarb is also used in animal pharmacology. The Advion gel is a cockroaches bait, and it serves as a roach food, that attracts them to try it. Put several drops onto the wall in the room or put some on the floor to get roaches under control. 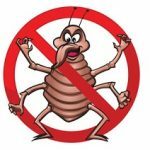 The terms of roaches extermination and gel efficiency depend mostly on the number of cockroaches you want to eliminate. For a small number of roaches, it usually takes up to 1 week of using the Advion gel, if the invasion includes more than 50-100 individuals, it can take you from 1 to 2 weeks. Also, take into consideration the number of rooms and their sizes. Advion roach gel helps to fight probably all of the existing cockroach species. Anyway, the actual list of species the gel is most efficient for includes German, American, Australian, Smoky-brown and Brown, Asian and Brown-banded cockroaches. Before attacking disgusting creatures, let’s explore and find out what makes the roaches dangerous. 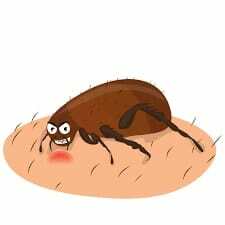 After all, these pests spoil life for you not only with their appearance; they can also be harmful to health. 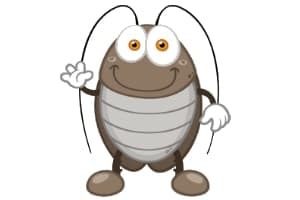 Any bacterium brought by a cockroach is transferred to the table, dishes or wherever these pests can appear. The scientific studies have confirmed that cockroaches that live in homes can be carriers of many serious illnesses such as dysentery, typhoid fever, gastroenteritis, salmonellosis, cholera, urogenital infections. Yes, you read it right. Cockroaches are sources of allergens in the apartment. 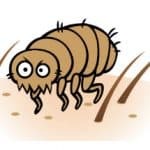 They leave a large number of chitinous integuments after the molting and dry excrements all over your house. All this mixes with house dust, and when it gets on the human skin, it can cause even asthma or dermatitis. Worse than allergies and illness, there can only be a cockroach that bites. Though cockroaches are not parasites, sometimes they not only bite a person but also cause extra problems. There were cases when cockroaches nibbled pieces of skin on the fingers and toes, as well as on the lips of sleeping people. However, you don’t have to panic, such cases happen rarely. Sources say that the most likely to bite cockroaches are Brown and Sand species. Being very dependent on the availability of water sources in the room, cockroaches can lick saliva from the lips at night and nibble the epithelium in this area too. Brown cockroaches can even crawl into a person’s ear, looking for a shelter there. So, there are no cockroaches, which would purposefully and regularly bite a person. 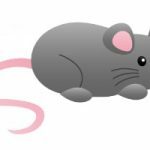 These pests are dangerous to humans, primarily because they carry pathogens of various diseases and sometimes can cause chronic allergies. When you get a pack of Advion gel, you can find the instructions to use it the right way. Let’s see what they say. The manufacturer recommends keeping the 0.5 g doses of the gel at a distance of 2-3 feet from each other. The tool is economical: 3-5 times of such a treatment will be enough even for a two-three floor house while killing a small population will require only 1-3 drops of this gel. Don’t use too much gel and don’t use less than the instruction says. 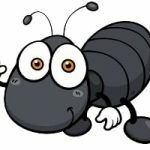 If you have serious trouble with cockroaches invasion in your house, my advice is to use the gel for a week applying the needed bait amount instead of putting more. Also, the professional exterminators say that using the gel 2-3 times a year keeps your home or office safe. Where to get the Advion killer gel? While the pests control agencies are keeping this gel in secret, you should know that the Advion gel is available on Amazon and eBay. Its average cost is up to 30$. For some readers, it can seem expensive, but the long-lasting effect you’ll get is definitely worth it. However, calling a professional exterminator that will use the same gel in your house will cost you a slightly different price. Always check the reviews before you proceed to buy the Advion gel on any of the mentioned selling platforms. Sometimes, a low price hides a fraud behind. Is Advion Cockroach Gel safe for other animals? If you have cats or dogs or other domestic animals in your house, beware of indoxacarb poisoning. The main Indoxacarb dogs and cats poisoning symptoms are weakness, drooling, inability to stand and hypotaxis. If you spot any of these dangerous symptoms on your pet, please get it to the vet immediately. Due to indoxacarb toxic properties, it can harm the animal badly. To prevent that, use the gel in inaccessible for pets locations or leave them in a pet hotel for several days. Are there Advion Gel fakes? 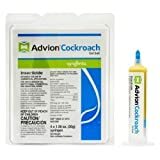 I have never come across cockroach fake Advion gel, but it’s better to make sure you’re buying the original product. The original Advion roach gel is produced by one of the world leaders of the insecticidal industry. The Syngenta company (USA), which bought one of the most popular insecticidal business DuPont Professional Products in 2012, now owns the Advion products. Previously, the Advion gel was known as a DuPont Advion Cockroach Gel Bait, so if you have the DuPont pack, it doesn’t mean it’s a fake, but the pack is probably old enough and wouldn’t work properly. 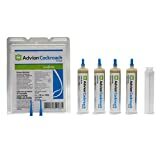 Advion Syngenta cockroach gel pack basically includes four syringes. Some resellers can offer up to 16 syringes in one box, but trust me, you don’t need that much. My neighbor used the Advion Gel, and nothing happened! Now, it’s time to convince those who believe the Advion cockroach gel doesn’t work the way it promises. The gel doesn’t kill a roach once the pest ate it. This gel, like many other cockroach baits, has a delayed effect, it doesn’t kill a roach immediately, but it helps to control the whole population you don’t even think can be in your house. So, don’t expect the effect earlier than three days after you applied the gel. Because of the Indoxacarb formula that works like a time bomb. When the roach eats the bait, it can infect other non-infected individuals. The poisoning may be caused by excrements or physical contacts. Cockroaches can also eat their poisoned dead mates, and it affects them too. 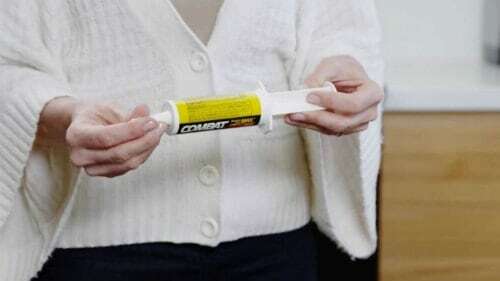 Apply the cockroach gel Advion in areas where cockroaches are usually known to be. These are cracks, crevices, cabinets, sinks, closets, doors, walls, ceilings behind and under appliances. 1 to 3 spots of gel bait per 10 linear feet for light to moderate infestations. 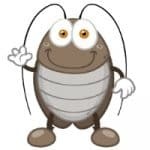 Once you’ve spotted a cockroach in your kitchen or bathroom, the first thing you think about is how to get rid of it as soon as possible. Used by professionals all over the world (I mean it’s available for pest controlling agencies in Algeria, Austria, Belgium, Bulgaria, Cyprus, Czech Republic and up to the United Kingdom), Advion Syngenta cockroach gel remains the best tool to become a winner in a cockroach war. It works in 99,9% of cases and kills all the cockroaches in your house in minimum time. used both indoors and outdoors. unsafe for kids if applied in the wrong place. Due to the growing number of positive reviews and feedbacks from satisfied clients about the Advion cockroach gel bait, its popularity spreads every day. But even with detailed instructions, guides, and tutorials some of the users still manage to misuse the bait. Pay attention to the amount you use every time you apply the gel onto any surface. Most of the mistakes are based on overdosing or too little dosing of the bait that leads to non-efficient usage of the Advion gel. 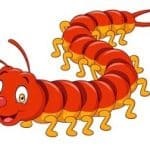 However, if you’re afraid of doing something wrong when using the gel bait, you can still call the professional cockroach exterminators or contact a pest control agency if you want a one hundred percent effectiveness. Even so, I think you can do it by yourself easily by following the instructions and save some money. Advion cockroach gel bait is a top-selling product among all of the cockroach killers now. It has all of the features of the perfect pest controlling mean to use in your house. 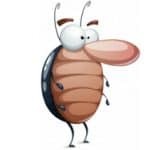 Unfortunately, cockroaches invasion cases occur frequently enough to think about house prophylaxis, and Advion will help you with this too. 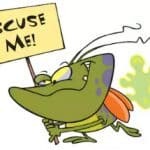 Opposite to popular fallacy, cockroaches show up not in only in dirty rooms. Yet, they can appear absolutely in any house. First, it is possible to bring an insect from a public institution: hospital, school, office. 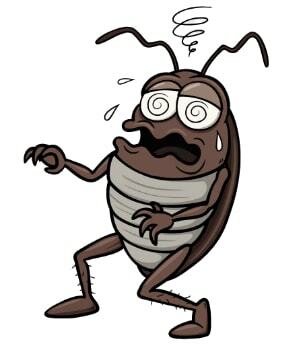 Secondly, cockroaches can come from a nearby apartment, especially if they have recently been treated there. One female cockroach individual is enough to fill the whole apartment shortly with these unpleasant cohabitants. If you are searching for a practical, affordable, and accurately working cockroach exterminator, the Advion cockroach gel bait will satisfy your needs on all counts. How to get maximum efficiency of the Advion gel bait? Follow these simple rules to prevent the repeated cockroach invasion and get maximum from using the Advion gel bait. This is especially important after you applied cockroach gel. A poisoned cockroach can recover quickly after drinking water. Therefore, decomposing the parasite remedy, it is necessary not only to remove all the water, including the water in the kettle but also to dry the sink in the kitchen. Cockroaches are very tenacious. If you cut off this creature’s head, it will die only after a few days from hunger, since it will not be able to live without a head. Take out the trash and food waste regularly. These pests are most tended to eat everything they see around. Any crumbs, grease stains, debris, garbage, and even your shoes or clothes, they will not disdain anything if they are hungry. To prevent that just keep your house clean and make sure your clothing and shoes are in a well-protected place. Place the Advion gel in most known cockroach shelters. Cockroaches are always hiding in dark and warm corners, hidden from prying eyes. These can be boxes or wardrobes with clothes, wall and ceiling cracks or slots in the floor. Do not be lazy and treat any suspicious hole and crack you find not only in the kitchen or bathroom (where they are most spread), but all over your house to prevent their occurrence. In any contact with disinsecting home means, the safety arrangements must be followed. Often, the improper use of toxins or other chemicals for insects leads to injuries and poisoning. To avoid unpleasant consequences, please be careful. Use disposable gloves when applying Advion gel bait. Avoid contact with eyes, skin, and clothes. Do not apply Advion gel to the surfaces near the food. Do not apply the gel in easily accessible places for children. Don’t use the Advion gel with any immediate cockroach killers. 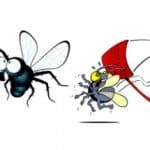 I know you want to get rid of pests as quickly as possible, but don’t be fooled by the contact killers effect. While the Advion delayed effect can poison and control up to 100 roaches in a week, traps or sprays will only kill some of them, so the long lasting gel effect wouldn’t work. My main advice to you is to check and refresh the baits. The truth is that cockroaches can develop resistance and it won’t affect them. Moreover, don’t leave the Advion gel drops on your walls or floor for more than one day. It can dry out and turn into the solid mass that will be complicated to remove. Can the Advion gel bait be combined with other insect killer means? Yes, it can. For example, you can use boric acid powder. I bet you’ve heard about this popular method a thousand times. Boric acid also attracts the roaches to eat the bait, and after they get intoxicated by it, it takes up to 72 hours for them to die. While being infected with both Advion gel bait and powder, they can poison more individuals, and you’ll get the best effect. But, if you ever decided to use ammonia, forget about the idea. Ammonia has a strong smell that cockroaches do not like and as a result, they wouldn’t be attracted to the gel bait. Therefore, they tend to leave the rooms treated with this substance. If you already used ammonia, air the room urgently. Is Advion gel poisoning lethal for pets? Luckily, it isn’t. Like I’ve said before, it can harm your cat or dog, but with the right treatment, it will get well soon. Indoxacarb is also widely used in veterinary. Can I buy the Advion Gel Bait in a local store? Unfortunately, the Advion gel is officially not available in stores and shops. But, you can find it easily on Amazon or eBay. For effective control of cockroaches, it is recommended to use several tools at the same time. The Advion Arilon Insecticide pack contains one tube of Advion cockroach gel and one pack of Arilon Insecticide. Arilon Insecticide will destroy most of the cockroaches as quickly as possible, and Advion cockroach gel will destroy the rest. The insecticide has no smell and can be used both inside and outside. Advion Arilon is also recommended for the extermination of such pests like ants or crickets. Advion Insect Granule Bait offers a wide range of pest control options. It is also intended for outdoors or indoors usage as most of Advion products. It can be used as a supporting cockroach exterminator, room processor for insect prevention, or as a point treatment in insect shelters. I personally recommend to use it outdoors, because it is much more effective than advion gel bait. The granule form seems to be less sundried, so you can be sure that more roaches will be infected. The active ingredient in Advion Insect Granule is also the Indoxacarb. This is still the same Advion Gel Bait, but it’s packed in small plastic vaults. Users confirm that this is an excellent solution to the problem if there are children and pets in the house because they can’t contact the poison. The Indoxacarb placed in plastic stations still works as the bait, so the roaches will be attracted and infected in any case. In this Advion gel bait review, I’ve tried to tell and explain to you everything I know about the product from both professional and ordinary perspectives. If you still have any questions about this product, please, feel free to leave a comment below, and I will manage an answer as soon as it is possible. I am Nicholas Martin, and I am an entomologist. I have the ACE Certification in the pest control industry of the Entomological Society of America. I combine the insect survey work with the consultation for private pest control agencies. My narrow specializations are both urban pests and agricultural pests. I studied their control over the previous 25 years. HOW TO GET RID OF HOUSE CENTIPEDES AND DO YOU REALLY NEED TO DO IT?